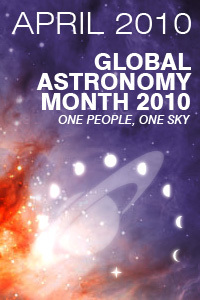 The UAP observations reporting scheme currently participates to the Global Astronomy Month (GAM, April 2010), an international project organised by Astronomers Without Borders (AWB) that builds on the achievements of the International Year of Astronomy, by combining a wide array of activities with the possibility of sharing experiences in real-time. The Global Astronomy Month represents another opportunity to put emphasis on the UAP topic, and another opportunity for the collection of data and dissemination of information that is not to be missed ! Organisers of GAM events around the world could contribute to this effort by making available to amateurs Astronomers and the general public the specific UAP observations reporting scheme’s brochure that has specifically been designed for this event.